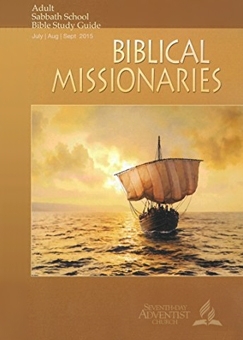 Missions are a core activity of the divine Trinity, according to this lesson, and the divine Words that describe that mission to save humanity began at the Fall in Genesis 3. When Jesus arrived on earth as a man, the full meaning of God’s mission activity became clear and we could see how man’s deepest needs are fulfilled. The divine plan of redemption was “formulated” long ago before time began, and that is why we are given prophecies in the Old Testament about Jesus as the Messiah. Those prophecies also included the Gentiles in the community of the saved, and Jesus’ arrival brought in an age of universal salvation for all peoples. Friday’s discussion focuses on the problems with setting dates for Christ’s coming, quoting Matthew 24 and Acts 1 where Jesus states that no man can know that day, for only His Father knows. The Lesson also quotes Selected Messages p. 189, where Ellen White warns against speculations about times and seasons that God has not revealed. Date-setting that is repeatedly proven wrong becomes an obstacle to the Christian witness throughout the world. Missions are all about magnifying Christ (Phil. 1:20). We magnify Him, not in the way a microscope makes little things look big, but in the way a telescope makes very great things look as glorious as they truly are (John Piper, “Why Did God Create the World?”, Desiring God, 2012). Where is God’s glorious grace most clearly shown? In “the gospel of the glory of Christ” (2Cor. 4:4), which is all about what Christ has already done to save us, becoming sin for us, then dying and rising for us (1Cor. 15:1-3). That is the message that must drive missions. We may imagine all sorts of other good messages to carry to the world, such as a health message or a social justice message. But good as those may be, they are not what Jesus sent His followers to proclaim. If we are to magnify Christ, we need a firm foundation for faith. We can agree with this Lesson that God’s “plan” to save Gentiles ancient and that is why the OT includes promises for them also. More than that, however, if the promises of God are to have any power in our lives, we need a rock solid basis of confidence in God’s sovereignty. If God is really the sovereign of the universe, than his original stated purposes cannot be thwarted, no matter what Satan or his followers choose to do. So as we witness to the nations we need to be assured by God that His purposes are certain, even as we face the swords of ISIS, or anything Satan throws at us. We are willing to suffer because we are 1) already saved and called; 2) our works were not the decisive factor in that saving and calling; (3) our salvation is owing to His purpose and grace which was given to us in Christ before the ages began. By “purpose and grace,” Paul is referring to the free, unconditional election of God’s people, decided before the world was created. That is a lot of confidence, the kind that we need to face the severe suffering Jesus promised. In contrast, the Lesson does not make a clear statement about our need for passionate assurance while serving Him. Frankly, the Lesson’s explanation of the missionary’s motivations to carry the gospel is not death-defying, but insipid and vague. Copyright 2015 BibleStudiesForAdventists.com. All rights reserved. Revised August 8, 2015. This website is published by Life Assurance Ministries, Camp Verde, Arizona, USA, the publisher of Proclamation! Magazine. Contact email: BibleStudiesForAdventists@gmail.com.